Happy New Year to everyone and welcome to my first property market update of 2013. With 2012 dissolving swiftly into 2013 in a blur of fireworks and fizz, what can we expect this year? 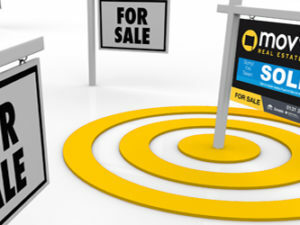 Is there positive news on the horizon for the property market and for property buyers and sellers in 2013? Is mortgage lending looking like improving or worsening this year? And what are we seeing happening in reality rather than just in the cold, hard statistics that we read about in the papers? Answers to these questions and more can be found below, so read on! The outlook for the property market in 2013 is actually quite rosy based on some pretty reliable statistics that appeared in the Press this past month. Of course, this doesn’t mean that the deposits required for these mortgages are lower or more affordable, but if repayments are lower than they previously were and good deals are available then this can only be good for the market. 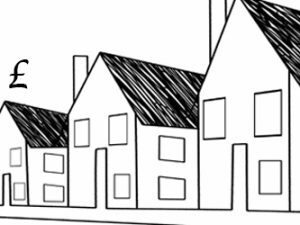 Although I am in danger of suggesting political leanings here, another article this month, also in the Guardian, reported an increase in optimism about the housing market amongst estate agents. Not a surprise you might think, given a common perception that estate agents just talk up the market all the time anyway, regardless of what the truth of the matter is, and that they would probably have been fiddling on the Titanic as it sank whilst extolling the virtues of its flexible accommodation and high ceilings. However, estate agents have borne the brunt of the housing market crash in the past few years pretty badly, have had to lay off large numbers of staff members, gone out of business left-right-and-centre and are actually quite prone now to being fairly negative about the prospects for the housing market. ‘Jaded’ is probably the word to describe it. Nevertheless, a recent survey has suggested that us harbingers of doom are actually getting a bit chirpier about the property market again. Whilst of course this is hardly scientific, the housing market and house price movements are so linked to confidence, a completely intangible thing to begin with, that it certainly bodes well. For what it’s worth, I am also sensing an increase in optimism amongst solicitors, estate agents and those involved in other ways with the industry about the way that the property market is heading so this story didn’t surprise me at all: http://www.guardian.co.uk/business/2013/jan/28/estate-agents-upbeats-housing-market-survey. 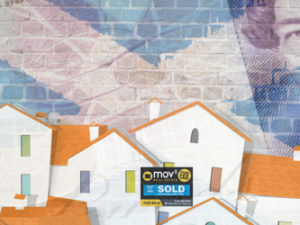 What Are We Seeing Happening in the Property Market at the Moment? So, it’s January, and everyone thinks that it’s going to be a gentle introduction to the new year: a few enquiries from people thinking about selling, some purchasing activity just to limber up for the lighter, longer days and a few tentative enquiries about buying later in the year. Because spring is the busy season, isn’t it…? Quiet and gentle introduction to the year, I hear you say? Oh, oh, ahahahahahahahahahahaha…..oh, oh, my sides….my sides!! Let me be totally honest with you: this newsletter is being written very, very late at night as trying to find any sensible time of day to get it done at the moment is absolutely impossible. To describe the year as setting off like a greyhound from the traps would be an understatement: I’ve never seen anything like this in the last few years. 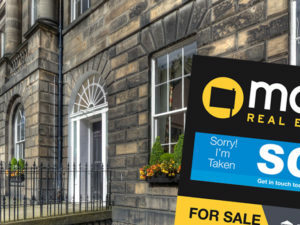 We have sold more properties in January than we have ever sold in any month…well, ever. We have handled more requests for market appraisals and quotes than in any other month…not just last year…not just last Spring…but ever. And by a long, long way. The number of potential buyer enquiries and buyers added to our database beats any month last year. And January is perceived as being a quiet month. Not in 2013 it’s not been! As with the end of 2012, the proportion of properties sold to properties going on the market is far healthier than in the months of the years that most sellers perceive to be the optimum time i.e. Spring. There remains a dearth of good properties on the market as most sellers wait till the Spring to go to market, yet demand remains as high as ever. So simple supply and demand is causing Closing Dates and to properties that have been sitting on the market for a few months now selling. I will continue to shout this message into an empty room because I cannot stress it enough…winter is actually a great time to sell a property, even though emotionally it might not feel like it, and the statistics bear this out. Statistics can of course lie, but I’ve reminded this lot of their responsibilities and sat them on the Naughty Step for half an hour and I’m pretty confident that they are telling the truth. In brief, the property market is actually looking quite rosy around Edinburgh and the Lothians in 2013. If lending becomes more plentiful and cheaper and the volume of transactions and buyer enquiries that we have seen during what’s meant to be a quiet few weeks continues to build, this year could yet see the tentative return of something that has been sorely lacking from the property market for the past few years: a little sense of feel-good. And I, for one, sincerely hope for the sake of property buyers, sellers, and their poor jaded solicitors and estate agents, that it happens!